Keep up the fight. Hasta la Victoria. Carry on one day longer for justice. We all do better when we all do better—Paul Wellstone. Stay strong! New York teacher and child of immigrant supports you! No more breaking up families. America supports family values. You are fighting a good fight, I stand behind your cause! CWA Local 7901 Portland, Ore., is there in spirit. Hang in there…no person is illegal…the tide is turning. Hermanos y hermanas, stay strong. As we say in the Steelworkers, one day longer, one day stronger!!! If companies can move from country to country for labor, workers should be able to cross borders, too. Most Americans are on your side. Together, we can break the Republican blockage. We’re with you all the way! Si, se puede! Your work is so important. Thank you for putting your personal welfare on the line. I wish Congress could do the same. Solidarity! Courage! You are recognized, respected and cared about. This country needs you. Please do not give up your courageous fight. Many Americans are with you. God bless your soul. I am fasting tomorrow in solidarity. They can never deport our spirit to fight injustice. This is America. Anybody who follows the rules should get ahead. Stay strong! We’re linking arms and standing with you every step of the way. We shall not be moved. Your pain is our hope. !THANK YOU, HUNGER STRIKERS. YOU ARE HEROES! Onward & forward in solidarity. If you want to send your own message to the hunger strikers, text HUNGER to 235246 (standard data and message rates may apply). This article was originally printed on AFL-CIO on April 28, 2014. Reprinted with permission. About the Author: Jackie Tortora is the blog editor and social media manager at the AFL-CIO. My name is Kate Wendland Duncan. I’m a registered nurse on a general medical-surgical unit at Allegheny General Hospital in Pittsburgh. Nurses treat the physical, psychological, social and spiritual aspects of health and disease, and that puts us in a unique position to understand how health policy affects citizens both individually and holistically. As a nurse, then, I know that the Affordable Care Act and its coverage of birth control is based in sound health policy. Which is why I was at the Supreme Court in Washington, D.C. in March as the Hobby Lobby case was heard. That case is about access to birth control: whether corporations can exclude contraceptive coverage from the health insurance coverage they provide their employees on the basis of their religious or other objections of a personal nature. #HobbyLobby: What’s it all about? As a nurse, my role is to be an advocate for my patients and as the court is considering its ruling on Hobby Lobby, I wanted to share my thoughts on the issue. It makes sense for the nation’s physical, social, and economic health for women and families to decide for themselves when and whether they’re ready to nurture and support children. If we start dismantling and cherry-picking the law to allow employers, rather than the health goals of the nation, to determine what is covered by health insurance, then won’t we end up right back where we started? Hobby Lobby is a large corporation with 28,000 employees. Corporate CEOs, know a lot about business, but they usually don’t have a medical background, nor do they know the health concerns and needs of all of their employees. The healthcare providers who treat individual patients, however, do know their life circumstances and health concerns, and can make informed recommendations on their healthcare options. If birth control isn’t covered by insurance, it is a significant expense and one that most hourly-wage workers cannot afford. It will force many people to choose between paying out-of-pocket for birth control and the critical needs of their families, like keeping the lights on and putting food on the table. I urge the court to rule in favor of empowering citizens to make their own informed healthcare decisions, instead of allowing the personal beliefs of a small group of multimillion dollar business owners to dictate health policy. This article was originally printed on SEIU on April 25, 2014. Reprinted with permission. On the one-year anniversary of the deadly collapse of Rana Plaza, an eight-story factory in Bangladesh—one small component of the multi-billion dollar global garment industry—labor groups around the world are taking to the streets, chanting “never again.” In Bangladesh, family members of the over 1,100 garment workers killed joined former workers and protesters outside the site of the collapse, while activists in London formed a human chain on the city’s busiest shopping street to urge local retailers to be more transparent about working conditions in their supply chains. In the year since the collapse, advocates say they have successfully shifted the conversation about responsibility for factory production conditions to the multinational corporations themselves—such as Benetton and Nordstrom, both of which had tags found in the Rana Plaza wreckage. The groups have also begun to facilitate a dialogue around the ways in which corporations profit from low wages and corner-cutting on safety for the production of the cheap, fashionable clothes they peddle. But while the media may recognize that the responsibility for garment workers belongs to the multinational companies that outsource to them, few corporations have taken part in the concrete steps championed by advocacy groups to help victims. For example, a compensation fund for victims was set up to enable retailers to donate to the impacted workers, but only $15 million—one-third of the $40 million goal—has been raised by the International Labor Organization (ILO), which chairs the fund. The corporate community’s inaction has left survivors scrambling to make a living without adequate healthcare or wages, according to a report by Human Rights Watch. Another round of interviews conducted by ActionAid, a global NGO, interviewed 1,436 survivors and 786 family members of workers who died in the Rana collapse. The study found that two-thirds of them had trouble buying food, and half found it difficult to make rent. Almost three in four hadn’t been able to work, and 76 percent were still receiving medical treatment. Rabeya Begum was one of the 2,500 workers rescued from the rubble. In December, Begum lost both of her legs due to injuries she sustained in the collapse. But because her legs were removed months after the incident, Begum missed out on the government compensation program meant to provide a guaranteed income to workers who had lost limbs in Rana Plaza. Without a guaranteed income, she has been relying on donations to survive, but says that money will soon be gone as well. “ I have four children and my husband can no longer work because he needs to look after me,” she told Human Rights Watch. The ILO’s Convention 121 dictates the compensation due to an injured worker based on their loss of future earnings, as well as pain and suffering. After the Bangladeshi disaster, ILO proposed $40 million in compensation for survivors. But according to Liana Foxvog, director of organizing and communications for the forum, there are no legal mechanisms compelling retailers to pay into the compensation fund. That loophole made attempts to compel multinationals to pay damages for an earlier disaster—a 2012 factory fire in Bangladesh which left over 100 dead—all but futile. For Rana Plaza workers, the first installment of fund payouts as it stands will be $645 per worker. Aside from material relief, one of the concrete gains that came out of the post-collapse outcry was the Bangladesh Accord on Fire and Building Safety, a legally binding agreement overseen by the ILO and several workers rights groups. The accord sets safety standards and mandates public reporting of independent safety inspections. Along with union signatories, over 150 apparel corporations have signed on to the accord, though major U.S. companies like Gap and Walmart are conspicuous absences. Though Walmart denies being an “authorized” supplier to Rana, news reports found that one of the factories listed Walmart as a client. The corporation has long been a target of labor groups in the U.S., that call on the company to improve working hours and benefits for associates in its stores, as well as for improved safety conditions in its warehouses. Thirty-some protesters picketed outside of a Walmart Express on Chicago’s North Side yesterday, the one-year anniversary of the Rana Plaza collapse, stressing that the differences in Walmart’s treatment of its workers in the supply chain are only of severity. Fields’ complaints carry echoes of those commonly made by workers in supply-chain factories overseas, especially the pressure to always speed up production and continue working in severe climate conditions. Najneen Akter Nazma, a factory worker who survived the Rana disaster—though her husband was killed—said she and her husband had been told about a crack running across the floor near his workstation, but knew they couldn’t take a day off work because it would cost them their monthly salary. And for Fields, a slippery floor in the warehouse, wet after a day of rain—which for his supervisors is no excuse to slow down work—carries with it the constant fear of being injured by the heavy loads he used to work with. For his part, Fields was able to file a complaint with the National Labor Relations Board after he was fired. Garment workers in Bangladesh—who have long labored in unregulated industries—are offered few labor protections. Feeling the heat, but is it enough? Foxvog has said it’s clear the garment industry has felt the public pressure to take responsibility for its contract workers overseas, will it be enough to compel corporations to change production practices? A handful of North American industry leaders—including Walmart—created the Alliance for Bangladesh Worker Safety in response to the disaster, which they say will release regular reports and maintain standards in Bangladesh factories, much in the same way the third-party Bangladesh Accord is intended to. Despite the promises of adequate oversight, only one of the 26 companies in the alliance—Fruit of the Loom—has signed onto the Bangladesh Accord, which has the backing of U.N. groups, unions and advocates. In a statement on the Rana Plaza tragedy, Walmart stressed that “the safety of workers in our supply chain is very important” to the company. It went on to note that Walmart had made a $3 million contribution to a Bangladeshi humanitarian fund, while also touting its role in the alliance. Advocates want Walmart to instead pay into the ILO-led compensation fund, and sign on to the safety accord, which they argue has more impartial oversight. Walmart has repeatedly denied its connection safety and workplace issues in its warehouses, and has used plausible deniability in the past to distance itself from its Bangladeshi suppliers. Still, thanks to international pressure—and despite its initial denials of responsibility—Walmart has been forced to publicly address the conditions in Bangladesh, and make minor concessions. But that strategy hasn’t carried over to the company’s stateside operations. Walmart has claimed it is not responsible for the conditions in the Chicago-area distribution warehouse as workers were employed through a “third party service provider,” essentially proxies the company uses to contract with the warehouses. Only time will tell if the burgeoning movements against Walmart’s labor practices in the U.S. will eventually win comparable victories. To keep a tragedy like the Rana Plaza collapse from occurring again, workers groups are calling for a fair-trade, unionized workforce as the only way to keep companies accountable, both at home and overseas. For Foxvog, that means that “victims need compensation,” but also that workers must be afforded the “the right to refuse dangerous work” when they fear the foundations of their building won’t stand, a right denied the workers of Rana Plaza, and with deadly consequences. This article was originally printed on Working In These Times on April 26, 2014. Reprinted with permission. 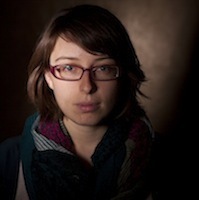 About the Author: Yana Kunichoff is a Chicago-based journalist covering immigration, labor, housing and social movements. Her work has appeared in the Chicago Reporter, Truthout and the American Independent, among others. In general terms, the tests were confusing, developmentally inappropriate and not well aligned with the Common Core standards. The questions were focused on small details in the passages, rather than on overall comprehension, and many were ambiguous. Children as young as 8 were asked several questions that required rereading four different paragraphs and then deciding which one of those paragraphs best connected to a fifth paragraph. There was a strong emphasis on questions addressing the structure rather than the meaning of the texts. There was also a striking lack of passages with an urban setting. And the tests were too long; none of us can figure out why we need to test for three days to determine how well a child reads and writes. These gag orders and the lack of transparency are fueling the growing distrust and backlash among parents, students and educators in the United States about whether the current testing protocols and testing fixation is in the best interests of children. When parents aren’t allowed to know what is on their children’s tests, and when educators have no voice in how assessments are created and are forbidden from raising legitimate concerns about these assessments’ quality or talking to parents about these concerns, you not only increase distrust of testing but also deny children the rich learning experience they deserve. […]If Pearson is going to remain competitive in the educational support and testing business, the company must listen to and respond to the concerns of educators like Elizabeth Phillips who report that the company has ignored extensive feedback. Parents, students and teachers need assessments that accurately measure student performance through questions that are grade-appropriate and aligned with state standards—especially since standardized tests have increasingly life-altering consequences for students and teachers. By including gag orders in contracts, Pearson is silencing the very stakeholders the company needs to engage with. Poll after poll makes clear that parents overwhelmingly trust educators over all others to do what is best for their children; educators’ voices, concerns and input should be included in the creation and application of these assessments. This is big business: Pearson has a $32 million contract with New York state alone. This article was originally printed on the Daily Kos on April 28, 2014. Reprinted with permission. About the Author: Laura Clawson is the labor editor at the Daily Kos. Farm Labor Organizing Committee (FLOC) President Baldemar Velasquez will be in London, England, on Wednesday to urge British American Tobacco (BAT) to use its influence as a 42% stakeholder in Reynolds American Inc. (and a major customer) to persuade the company to respect and protect the human and workers’ rights of its migrant tobacco farm workers. You can add your voice to the chorus of those urging BAT to take responsibility for ensuring the rights of workers in its supply chain. Click here and sign a petition from the International Union of Food Workers (IUF) to BAT CEO Richard Burrows asking him to urge Reynolds to guarantee the human right to freedom of association and worker representation on its contract farms by signing an agreement with FLOC. A 2011 report by Oxfam America and FLOC, A State of Fear: Human Rights Abuses in North Carolina’s Tobacco Industry, showed that many farm workers often live in labor camps with inadequate or non-functioning toilets and showers and other substandard conditions, suffer from illnesses resulting from nicotine poisoning and exposure to dangerous pesticides and work long hours for below poverty wages. This article was originally printed on AFL-CIO on August 28, 2014. Reprinted with permission. About the Author: Mike Hall is a former West Virginia newspaper reporter, staff writer for the United Mine Workers Journaland managing editor of the Seafarers Log. 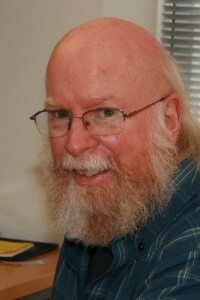 He came to the AFL- CIO in 1989 and has written for several federation publications, focusing on legislation and politics, especially grassroots mobilization and workplace safety. Monica Martinez-Vargas knows what it’s like to be invisible. For much of her career, she worked two shifts in downtown Denver – one cleaning hotel rooms and the other cleaning office buildings. In the mornings, she’d report to work in her maid’s dress and apron, pushing her housekeeping cart up and down a hotel hallway where she had eight hours to clean 16 rooms regardless of how many clothes were strewn across the floor or how much ketchup needed to be scraped off a lampshade. The goal was to be as quick and inconspicuous as possible stripping beds, changing sheets, replacing towels, vacuuming the carpet, dusting furniture, scrubbing the tub, disinfecting the toilet, scouring the sink and folding the end of each bathroom tissue roll into a crisp, neat triangle – all between the time a businessman left for breakfast at 7:15, say, and returned to his room for a conference call at 8 a.m.. The hotel guests would pass Martinez-Vargas in the hall. Some would nod. Some would ask for “more towels, please, gracias.” And some didn’t seem to notice her at all. She was even more invisible in the office buildings where she worked at night. Long after white-collar hours, she’d empty trashcans, dust window blinds and sweep crumbs from the cubicles of people for whom she was out of sight and out of mind, as if their offices were tidied somehow by magic. By the mid-1980s, when Martinez-Vargas had moved to Denver from Mexico by way of California, most small companies that cleaned office buildings had been elbowed out by big janitorial contractors that typically hired Central American workers for minimum wage and no benefits. It was dirty work, literally and figuratively. Most janitors were undocumented immigrants who lived in fear of losing their jobs and being deported, or even noticed, for that matter. Invisibility had its soul-sucking loneliness. But as a form of survival, it was the safest way to work. “It was dehumanizing, working alone, in shadows. I didn’t know the language. I didn’t know my rights. I didn’t have any connections. That made us vulnerable to the things they did to us, the humiliations. You could see the injustice. But you felt like you couldn’t do anything to stop it,” she says, interpreted from Spanish by Lauren Martens, state council executive director of the Service Employees International Union (SEIU), in which Martinez-Vargas, 69, is still active six years after retiring. SEIU represents janitors, security officers, health care workers and state employees. This blog post continues at the Colorado Independent. This article originally appeared in the Colorado Independent on April 21, 2014, followed by SEIU on April 22, 2o14. Reprinted with permission. Some 2,000 union workers went out on strike Wednesday at Johns Hopkins Hospital in a protest aimed primarily at exposing low wages at Baltimore’s second biggest employer and one of the nation’s most prestigious hospitals. Members of 1199SEIU United Health Workers East hit the picket lines at 6:00 a.m. April 9 for a three-day strike provoked by a stalemate in negotiations for a new contract to cover the union workers. The previous contract expired March 31, and renewal talks earlier this week stalled on the key issue of raising wages, according to 1199SEIU spokesperson Jim McNeill. Hospital executives had received a ten-day warning of the strike, says 1199SEIU Vice President Vanessa Johnson, so there was ample time to ensure that patient care would not be adversely affected. Union members are primarily in maintenance and food service, with some technical workers such as surgical techs. Operations at the enormous Hopkins medical complex are reported to be near-normalwith non-union nurses, administrators and temporaries filling in for the unionized strikers. Hopkins spokesperson Kim Hoppe would not respond to repeated inquiries for additional information from Working In These Times. Labor trouble at Hopkins has been brewing for some time. A year ago, the union signed an unusual one-year contract with the hospital as a stop gap as negotiators wrestled with difficult wage and healthcare issues. More broadly, the 1199SEIU-Hopkins conflict reflects Baltimore’s yawning racial divide, with the predominantly African-American union members receiving few of the benefits, as Hopkins’ well-paid physicians and administrators prosper. That economic divide was thrown into sharp relief Wednesday with low-paid 1199SEIU picketers demonstrating at the entrance to the hospital’s huge new medical building, which cost the hospital some $1.1 billion to construct. “Hopkins says they don’t have the money [to lift union wages] but they own most of the community,” charged union member Michelle Horton at an April 9 solidarity meeting of strikers and local supporters. Horton’s comment touched on another raw spot in Hopkins’ relationship with Baltimore’s African-American community: The hospital and related institutions are currently engaged in a long-term effort to re-develop and gentrify the low-income residential neighborhoods that surround the hospital, prompting charges of racial discrimination and unfair dislocation. Those issues notwithstanding, the focus of the solidarity meeting at St. Wenceslaus Catholic Church on Wednesday night was squarely on the issue of higher wages. 1199SEIU Vice President Johnson said that nearly 1,400 of the 2,000 union members currently earn less than $14.92 an hour, the level at which a single parent with one child will qualify for food stamps. “Johns Hopkins and [hospital President] Ron Peterson should be ashamed of themselves,” because some Hopkins workers require public assistance like food stamps or Medicaid, emphasizes veteran hospital worker Yvonne Brown. According to a 2010 report in the Baltimore Sun, Peterson earns about $1.9 million a year. The union initially asked a minimum wage of $15 an hour, consistent with the demands of other SEIU campaigns such as Chicago’s Fight for 15 initiative, Johnson says. Currently, negotiators are discussing a five-year contract, and the union is pushing to get a minimum of $14 for all workers by the final year, and a minimum of $15 at that point for workers with 15 years or more of experience . The expired contract had the lowest-paid workers starting at $10.71 an hour, with the best-paid earning as much as $27.88. Hopkins can easily afford the $15 minimum, Johnson says. The union estimates the raise would cost Hopkins less than $3 million in annual payroll expenses, while the non-profit hospital reported a $145 million surplus last year. Hopkins, however, is adamant in negotiations that the $15 minimum wage is not affordable, according to Johnson, who says the offers put on the table thus far have been paltry. The most recent would see the minimum rise to only $12.25 in the fifth year of the contract, an offer that prompted the strike action this week, according to Johnson. That’s just not good enough, adds Wiley Rhymer, a member of the union’s negotiating team. “We’re trying to get our members out of poverty, not keep them in it,” he tells Working In These Times. This article was originally printed on Working In These Times on April 20, 2014. Reprinted with permission. About the Author: Bruce Vail is a Baltimore-based freelance writer with decades of experience covering labor and business stories for newspapers, magazines and new media. He was a reporter for Bloomberg BNA’sDaily Labor Report, covering collective bargaining issues in a wide range of industries, and a maritime industry reporter and editor for the Journal of Commerce, serving both in the newspaper’s New York City headquarters and in the Washington, D.C. bureau. The audit found that 70 percent of employers in the city support the law, with 45 percent saying they are very supportive. This held true for businesses of all sizes. “These business owners, managers, and human resources professionals view paid leave as a valuable and important benefit for their workers,” the report says.It’s not hard to see why they might feel so supportive. The costs and impacts “have been modest and smaller than anticipated,” the audit notes. The majority report no effect on profitability or customer service, with just 17 percent believing that it made them less profitable. The average reported cost of implementing it was about one eighth of a percent of their annual revenue and providing the leave for the first year was on average four tenths of a percent. To deal with any costs, 8 percent raised their prices or otherwise passed the cost on to consumers, 6 percent decreased raises or bonuses, 5 percent decreased vacation time, and just 2.7 percent reduced employment while only 0.7 percent said they closed or relocated. All three measures of employment robustness – the number of Seattle firms with more than four employees, total number of Seattle employees, and total Seattle wages – grew in absolute terms over the first year of the Ordinance. Not to mention all those people who could stay home from work if they were sick. There’s still work to be done: Some employers either don’t know about or don’t fully understand the law, and aren’t providing the required amount of leave. But the excuses politicians can reasonably make for opposing sick leave laws are rapidly evaporating—not that that will cause many sick leave opponents to stop making excuses. This article was originally printed on the Daily Kos on April 23, 2014. Update: This afternoon AP reported Homeland Security Secretary Jeh Johnson is weighing limiting deportations of immigrants living in the U.S. who don’t have serious criminal records. Read more. The AFL-CIO today called upon President Barack Obama to halt deportations that tear families apart from each other, and today the AFL-CIO sent the president a memo urging him to take swift action on the urgent needs of workers and immigrant communities. DHS should grant affirmative relief with work authorization to individuals who are low priorities for removal or eligible for prosecutorial discretion under existing DHS policies. This would stop employers from “playing the deportation card” that pits workers against each other. DHS should reassert the primary role of the federal government in determining and implementing enforcement priorities by ending programs that effectively delegate those responsibilities to state and local law enforcement. DHS should reform the enforcement and removal system to stop criminalizing immigrant communities and ensure that individuals who are low priorities for removal or eligible for prosecutorial discretion are not removed. Read more details about these steps in the memo and from the Washington Post’s Greg Sargent. This article was originally printed on AFL-CIO on April 21, 2014. Reprinted with permission. The job market hasn’t always been kind to young mothers of color. Rising child care costs, a badly lagging minimum wage, and persistently high unemployment has forced many of these women out of the workforce and into the role of the stay-at-home-mom. We’ve been trained to believe the typical stay-at-home-mom is a rich, white suburbanite. However, new research from the Pew Research Center refutes this stereotype and paints a picture of today’s stay-at-home-mom as a young, woman of color, often born outside of the United States, less likely to have a college education, and more likely to live in poverty than working moms. According to Pew, the number of stay-at-home-moms in the United States with children under the age of 18 has grown to nearly 30 percent. Up from 23 percent in 1999. According to the U.S. Census Bureau, between 1985 and 2011, the cost per week for child care for a family with a working mother and children under the age of 15 increased from $84 to $143 a week. Meanwhile, wages have remained unchanged or even dipped depending on education level. Even more alarming, states have failed to keep up with the demand for child care assistance and the Supplemental Nutrition Assistance Program (SNAP) benefits that so many mothers and families depend on has been cut. Not to mention the threat of additional cuts from Paul Ryan’s disastrous budget has created a full-blown crisis for young working moms. For many women, especially those in low-wage positions–if your chances of receiving a promotion are low, and full-time child care for one child can average anywhere between $4,000 to $16,000 a year–why remain in the workforce if child care costs are more expensive than your salary? Today’s mothers should be able to choose if they want to remain in the workforce or become a stay-at-home-mom. They shouldn’t be forced to make these decisions based on the high costs of child care or low wages. All families deserve access to quality, affordable child care and jobs that pay a living wage. This article was originally printed on SEIU on April 15, 2014. Reprinted with permission.